From today, a new LEP1 and LEP2 form, which are critical parts of the documentation when purchasing a property, will provide further information to purchasers to give them a better understanding of their ongoing financial obligations when buying a leasehold property. The LPE1 Working Group – which includes representatives from the Law Society, the Royal Institution of Chartered Surveyors (RICS) and the HomeOwners Alliance – has come together once again in an effort to maintain the quality and relevance of the form. At an event hosted by the Conveyancing Association on 1st October, a new memorandum of understanding will be signed by the existing Group representing all the leading organisations in conveyancing, estate agency, property and leasehold management. All of the organisations have endorsed the new form and recommended it for use. Inclusion of additional questions designed to reduce the need for further enquiries with regard to transfer fees payable on sale, for example. 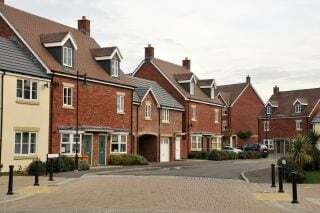 The group will also announce the addition of a Buyers Leasehold Information Summary (LPE2) to the document, in support of recommendations from the Competitions and Market’s Authority (CMA) Leasehold Study. This will provide further information to incoming lessees to give them a better understanding of their financial obligations under the lease. Over the last 12 months, the group has been working together to review and update the contents of LPE1. The new forms will continue to be made available to all and have been published through the main legal stationers, thanks to the Legal Software Suppliers Association (LSSA). They will also be available via the group members’ websites and the Law Society Bookshop. Since its launch in October 2013, the LPE1 document, which aims to improve the consistency and reduce the volume of paperwork required during a transaction process whilst providing better information for buyers, has been well received by property professionals across the board.